Who is Carpe Diem Chorus? 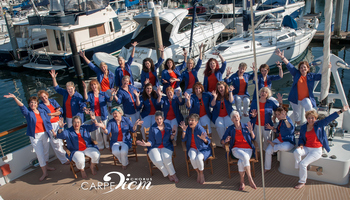 Carpe Diem Chorus, based in Santa Barbara, CA, was founded in 2011 by a group of enthusiastic singers looking to strive even harder for musical excellence. On September 17, 2014, Carpe Diem became an officially chartered chapter of Sweet Adelines International. 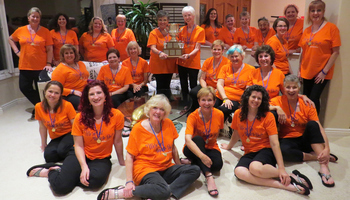 Just 6 months later, the chorus won the 2015 Region 11 Chorus Championship, and became the smallest chorus (20 singers) in the 70+-year history of Sweet Adelines to win a regional championship. In October 2017, the 26 women of Carpe Diem, under the direction of Master Director, Mary Ashford, competed at the International Harmony Classic Competition and brought home the GOLD! We are honored to be the 2017 International Small Chorus Champions! 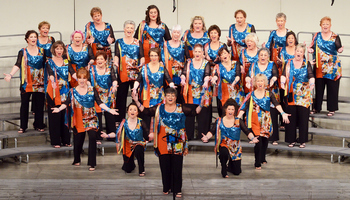 Award-winning Carpe Diem is an auditioned chorus from the Santa Barbara area. We are always looking for enthusiastic, energetic, vocally-talented women of all ages who love to sing and perform! Want to join Carpe Diem Chorus? Want Carpe Diem Chorus to sing at your next function? Why not hire Carpe Diem Chorus to entertain at your next event? We can perform at corporate functions, charity events, community Entertainment events, birthday parties, christmas parties, awards nights, weddings, engagements, anniversaries, engagements, and even funerals and memorial services.